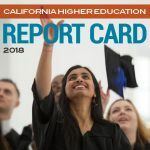 The Campaign for College Opportunity seeks an experienced Vice President of Policy Research to lead the organizations’ research portfolio pertaining to California higher education. 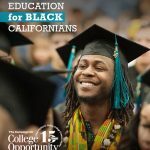 The Campaign for College Opportunity is a nonprofit 501(c)(3) broad-based, bipartisan coalition, including business, education and civil rights leaders, that is dedicated to ensuring the next generation of Californians has the opportunity to go to college and succeed. Our mission is focused on substantially increasing the number of students attending two- and four-year colleges in the state and who complete their college education. The Campaign maintains offices in Los Angeles Sacramento, and Washington DC. The Vice President of Policy Research will be based in the Los Angeles office and will report directly to the President of the Campaign and serve on the organization’s executive management team with the President, Executive Vice President and Senior Vice President. She or he will be responsible for leading our research strategy and agenda, while helping to generate research and analysis that informs the public discourse on higher education and advances policy reforms that support our mission. The Vice President of Policy Research will lead the Campaign’s research agenda, manage external research contracts, oversee the development of critical research and policy reports and represent the Campaign in leading a research and data analysis agenda designed to influence and improve access and success in public higher education for all California students. This position calls for a strategic and creative leader with a solid understanding of higher education data analysis, deep knowledge of higher education and the institutional/structural barriers that keep students from achieving success. The successful candidate must understand the intersection between public policy, research, and practice in improving outcomes for students, especially low-income and underrepresented Black and Latinx students. The Vice President of Policy Research must be self-motivated, passionate about the role of research to inform and improve policy and practice in higher education, able to work comfortably in a very fast-paced environment while managing multiple projects at once, and have a personal style that is professional, polished, and engenders trust and fosters a collegial environment. The Vice President of Policy Research must also be comfortable with the conflict that may arise when pursuing groundbreaking data that may expose systemic inequities. The Vice President of Policy Research will lead and work towards executing and expanding the Campaign’s research agenda. The Vice President will supervise the Director of Policy Research, the Sr. Research and Policy Analyst, part-time fellows and interns or additional hires supporting the Campaign’s research agenda. The Vice President of Policy Research will also lead and manage existing research projects with outside contractors, analyze state policy and budget impacts, and take a leadership role in identifying new opportunities to keep the Campaign for College Opportunity on the cutting edge of higher education policy driven research. The position involves interaction with state and national education experts and advocates, as well as state and federal executive and legislative branch policy staff. The successful candidate will be able to build and maintain relationships with key institutional research offices and practitioners. Experience leading a policy research portfolio in an advocacy capacity, a demonstrated track record of marrying research with an actionable policy agenda, excellent research and data analysis skills, as well as a demonstrated ability to synthesize policy and research information for different audiences is key to success in this position. A strong interest in higher education policy is required and a commitment to always putting student success and racial equity in higher education first. Other research analysis as needed to advance our policy agenda including shaping the evaluation rubrics necessary to assess our impact. Regularly conduct system, campus-level or regional higher education policy implementation data analysis for the policy, public affairs, fundraising and communications team. This may include requests from the press. Suggest and develop appropriate benchmarks and metrics for the evaluation of Campaign sponsored policy and determine the appropriate research medium (report, brief, etc.) for dissemination. Represent the Campaign at major events, capitol briefings, research and practice conferences, and in-person meetings; Create a calendar of key research conferences where the Campaign can play a leading presenter role and direct Research team to submit proposals and ultimately, present. Strong working knowledge of the body of academic research on structural racism in higher education and how that perpetuates racial inequity in higher education outcomes today. Familiarity with institutional research protocols and practices within the UC, CSU and California Community Colleges. Excellent project management skills and ability to manage multiple projects. Management experience preferred. Annual salary will be commensurate with experience and qualifications in the range of $100,000 to $115,000. The Campaign offers generous medical, dental, vision, and retirement benefits. The Campaign provides three weeks paid vacation and annual professional development opportunities as approved by your Supervisor. All candidates selected for an interview will be required to submit work samples, and a listing of research articles and publications to which the candidate authored or contributed. The Campaign for College Opportunity is an equal opportunity employer and encourages applications from qualified persons of every background. All applicants should visit our website to learn more about the Campaign at www.collegecampaign.org before submitting a cover letter and resume to stacey@collegecampaign.org. Applications will be accepted beginning March 26th and until April 19th, 2019. No phone calls please. 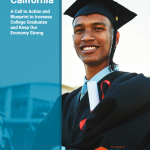 The Campaign for College Opportunity (the Campaign) is a nonprofit 501(c)(3) broad-based, bipartisan coalition, including business, education, and civil rights leaders, that is dedicated to ensuring all Californians have an equal opportunity to attend and succeed in college in order to build a vibrant workforce, economy and democracy. Our mission is focused on substantially increasing the number of students attending two- and four-year colleges in the state and who complete their college education. Every day, the Campaign fights to make public policy changes that will help more California students enter and complete college. We are a statewide leader in this work with a dynamic team of dedicated change agents. The Campaign maintains offices in Los Angeles and Sacramento. 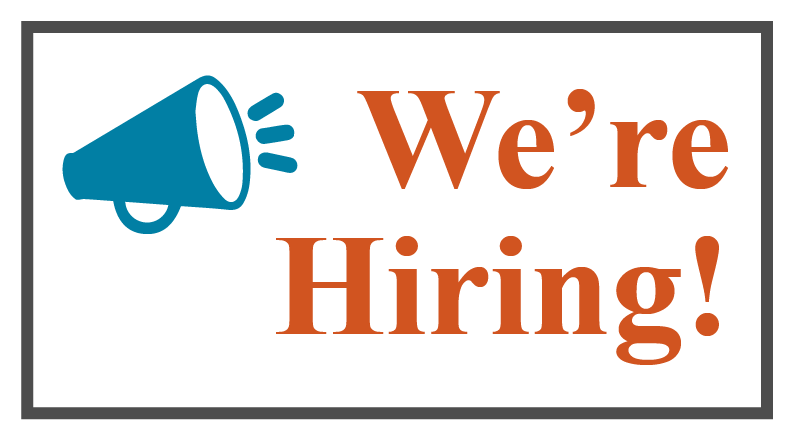 The Campaign is seeking an experienced Program Manager to oversee and guide the implementation of key Campaign policy priorities and initiatives in support of increasing access, equitable outcomes, and student success at California’s colleges and universities. This work will include implementation of the Campaign’s historic effort to establish an Associate Degree for Transfer, remedial education reform at California Community Colleges and the California State University system, as well as the establishment of the Student-Centered Funding Formula. The Program Manager will report directly to the Senior Director of Policy and Advocacy and work in close coordination with our Executive Vice President and Public Affairs and Research teams. The position will be based in our Sacramento office. Lead, in consultation with the Senior Director of Policy and Advocacy, the development and execution of efforts to advance implementation of our key policy initiatives including but not limited to: capitol briefings and roundtables, regional convenings, presentations, etc. Assist in the onboarding of Policy and Research Fellows supporting the work of the policy team. The successful candidate will have had experience working in education policy, program development, and/or policy implementation. They should be a highly motivated and enterprising self-starter with a minimum of three to five years of work experience in a professional setting, with strong communication, interpersonal, and relationship building skills. The successful candidate will have a passion for the transformative power of higher education and a commitment to resolving the inequities in college access and completion across racial/ethnic, income, and various regions in California. Demonstrated proficiency in utilizing technology platforms such as the Microsoft Suite (Word, Excel, PowerPoint, and CRM Dynamics), Facebook and Twitter. Annual salary will be commensurate with experience and qualifications in the range of $53,000 to $57,000. The Campaign offers 100% medical, dental, and vision insurance premium coverage for you and your dependents and provides a generous match of up to 5% for your retirement contributions. The Campaign provides three weeks paid vacation and annual professional development opportunities as approved by your Supervisor. All applicants should visit our website to learn more about the Campaign at www.collegecampaign.org before submitting a cover letter and resume. All candidates should review our research and publications to understand the work expected for this position. The Campaign for College Opportunity is an equal opportunity employer and encourages applications from qualified persons of every background. 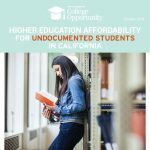 The Campaign for College Opportunity (the Campaign) is a nonprofit 501(c)(3) broad-based, bipartisan coalition, including business, education and civil rights leaders, that is dedicated to ensuring the next generation of Californians has the opportunity to go to college and succeed. Our mission is focused on substantially increasing the number of Californians who attend and graduate from college. The Campaign maintains offices in Los Angeles, Sacramento, and Washington, D.C. The Campaign is seeking one Graduate Policy Research Fellow to begin in March 2019 to support the establishment of a database of general California higher education statistics. The Fellow will (1) develop a database, (2) collect and upload key statistics to the database, and (3) train Campaign staff to effectively use the database. The successful candidate will have excellent research and data analysis skills and related experience, as well as a demonstrated ability to work with Microsoft Access to manage the database. 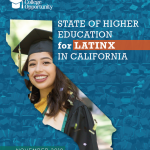 In 2018, Graduate Fellows have assisted with the data collection and analysis for our reports, including Left Out: How Exclusion in California’s Colleges and Universities Hurts Our Values, Our Students, and Our Economy and the State of Higher Education Report series. During their time with the Campaign, Fellows are provided training in quantitative and qualitative analysis, writing for non-academic audiences, translating research for different audience types, and time management. Fellows develop these skills by contributing to the development of research briefs and reports, infographics, and ad hoc requests consistent with the Campaign’s advocacy agenda and in support of the policy, outreach, and communications teams. Fellows’ work centers on expanding college opportunity and student success rates, especially for low-income and underrepresented students. Other tasks as assigned by Campaign staff. Have a working knowledge of and experience with quantitative research as well as experience with postsecondary datasets such as IPEDS, ACS (PUMS), BPS, survey research, Microsoft Office (especially Microsoft Access), and statistical packages (e.g., SPSS, SAS, Stata). The fellowship will begin March 2019 through June 30, 2019 or later (upon mutual agreement). The position is part-time, temporary, and provides a stipend of $20 per hour for 20 hours per week. Fellows will be located in Los Angeles, Sacramento, or Washington, D.C. Fellows will report to the Senior Research Analyst and work closely with the Director of Policy Research. Interested candidates should forward a letter of interest and resume with “Higher Education Policy Research Fellow” in the subject line by email to the Director of Policy Research, Dr. Leticia Tomás Bustillos: leticia@collegecampaign.org.